A textured minimal bespoke wedding invitation suite by Locust House Fine Stationery. The wedding invitation, response card, reception card, and envelope liners were flat printed in dark grey using a pigment-based fine art printer. 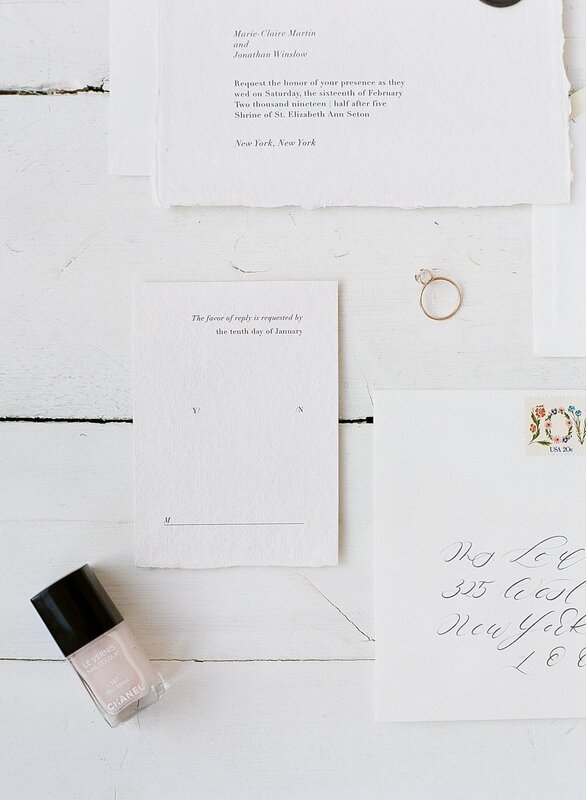 The cotton envelopes were handwritten in Kristy's signature calligraphy style with a dark grey ink. The wedding invitation card was printed on handmade cotton rag paper, as was the response card. The envelopes and envelope liners, were printed on cotton paper from Crane in a soft white. Extra thick white vellum was used for the reception card.